The Old Columbia River Highway Scenic Byway begins just a few miles from my home and continues to wind along the Columbia Gorge to The Dalles. This is a rare straight stretch of the road, which was picturesque in its display of the pretty autumn golds and oranges. Love driving that road in autumn! It is a gorgeous stretch of road, love all the leaves on the side of the road. Beautiful! It's been a long time since I traveled that road but I know it's quite lovely. Wonderful photography ~ great perspective, composition and color! Delightful! beautiful Fall trees and leaves. Awesome angle for this type of shot. 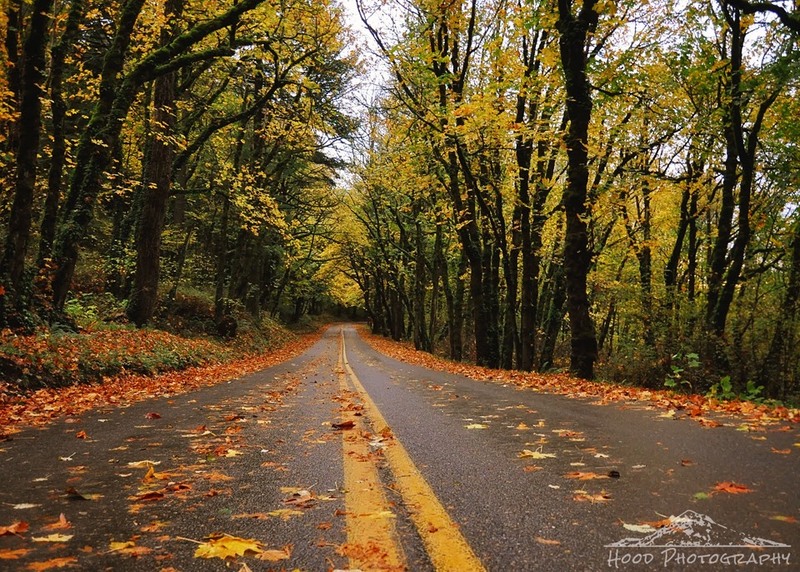 Love autumn roads! Visiting you through ABC Wednesday today.